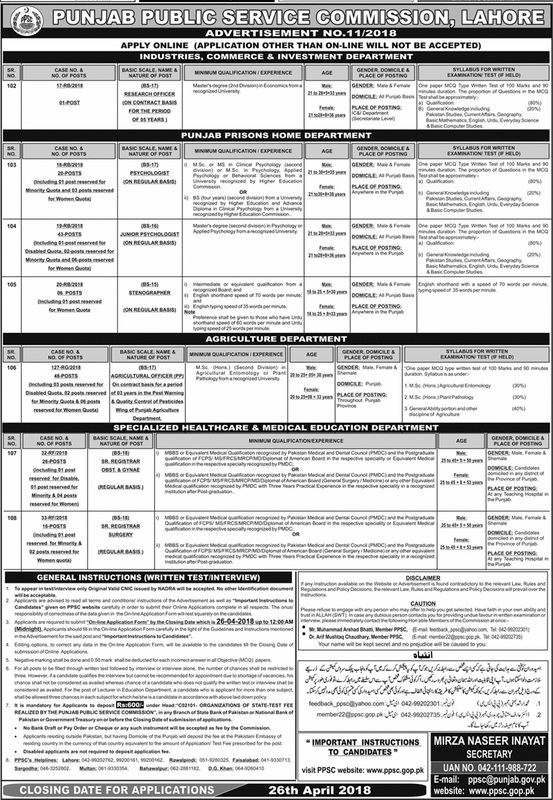 This is to inform you that some New Jobs In Punjab Public Service Commission PPSC Lahore 2018 for 160 Posts are available and you can apply now by reading the official notice and more information on this page. in the Advertisement for the said post and "Important Instructions to Candidates". shall be allowed three chances in each subject for which hey she is a candidate in accordance with above laid down policy. • Disabled applicants are not required to deposit application fee. PPSC's Helplines: Lahore: 042-99202762, 99200161, 99200162. Rawalpindi: 051-9280325. Faisalabad: 041-9330713.